FountainBlue’s July 10 When She Speaks, Women in Leadership Series event was on the topic of Leveraging Social Media for Work and Play. Below are notes from the conversation. We were fortunate to have such an accomplished, dynamic, creative and powerful panel of speakers, representing a wide range of backgrounds, perspectives and thoughts. They generously shared their wisdom and strategies about social media. Whether our panelists came into social media as a part of their corporate job function, as a personal exploration of interest, as a social and networking experiment for a start-up, or as a consultant in a PR firm working with tech companies, they all saw the impact of social media strategies on the company, on the people connected with the company, and on the brand. Know what you want to communicate and do it authentically, strategically and with good judgment. To strategically leverage social media, know your objective, your audience, and your measurable results before you start on any campaign. Social media is not just for the extraverts. Everyone can leverage it – do what feels comfortable to you. Social media is a must-have for building networks and connections, and for communicating your brand. LinkedIn is a must-have for all professionals. Create your profile, find and communicate your brand and voice. Even if personal and professional identities are separate, how you do one thing is how you do everything, so make sure that your communications is ‘clean’ and won’t reflect badly on yourself or your company. Assume that everything you do will be public and forever, even if you meant the message as a personal communication to a private audience. When weighing what or whether to communicate, make active choices that you will stand by. Be ever respectful and non-controversial and don’t be argumentative. Develop a point of view by retweeting others’ content and eventually writing your own. Be consistent with the point of view – don’t be schizophrenic going back and forth with your viewpoint. Consider the immediate and feedback when you send out messages – do people like what you say? is it the right audience? You know when you’re ‘too’ into social media if you’re texting or SnapChatting someone sitting next to you. Social media is not a substitute for face-to-face interactions! Social media allows you to be the person you want to be perceived as. Be real – warm, human, encouraging, light – while providing meaty content of interest to the audience you’re reaching. Be in alignment with corporate, division, team, product and other perspectives. Collaborate with others from other divisions and roles to communicate messages and achieve objectives. The bottom line is that social media will forever change how we communicate who we are as individuals and as professionals. It’s a double-edged sword, which, when managed well, can amplify your message and your reach. 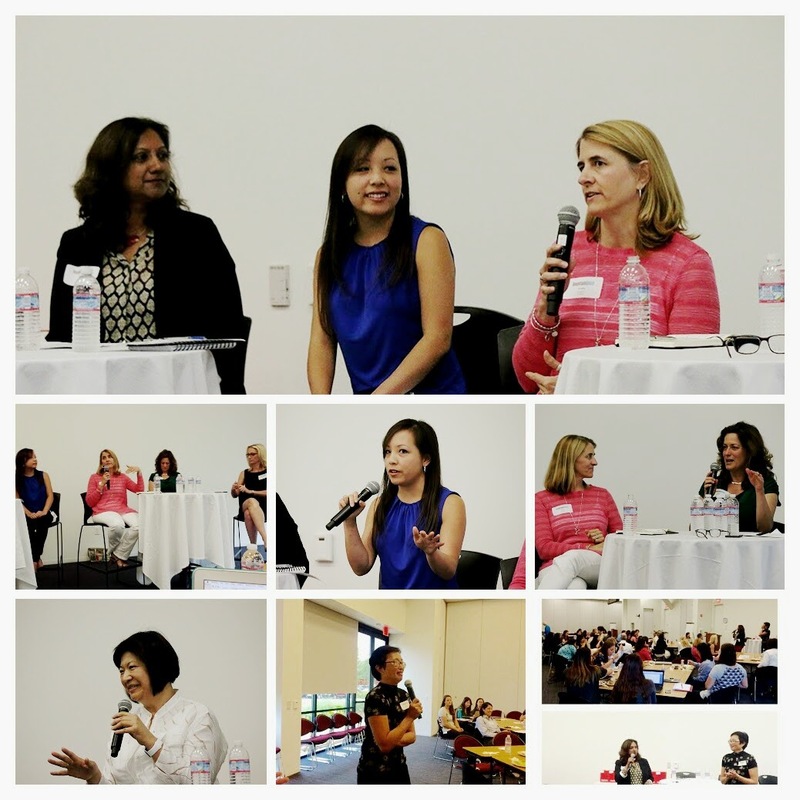 Please join us in thanking our panelists for FountainBlue’s July 10 When She Speaks, Women in Leadership Series event, the topic of Leveraging Social Media for Work and Play, and our gracious hosts at Sandisk. Panelist Yvette Huygen, Director, Worldwide PR & Corporate Communications, Synopsys, Inc.